2. Thirteen straight hours of guilt-free NBA basketball. The main story lines of the day are pretty well-worn among us die-hards by now: Giannis is a freak, LeBron vs. the Warriors, Harden vs. Westbrook, the Boston-Philly rivalry is back, and so on. These narratives are gracious plenty for the throngs of casual fans who probably watch more NBA ball on Christmas Day than they do the rest of the season put together. But for us nerds, it's nice to get a little something extra beyond the big, flashy gifts under the tree, so today we'll be looking at the stocking stuffers: the little, novel accents to watch for tomorrow that will help round out your holiday viewing experience. Milwaukee's Goofy-but-Effective Depth: Sure, Toronto has the better record (on account of having three more wins already in the bank) and Golden State's Death Star is not yet fully operational, but there is an argument to be made Milwaukee has been the best team in the NBA through the first trimester or so of the season. The Bucks do a TON of things really well: they lead the league in point differential and net rating, are top-5 in both Offensive and Defensive Rating, shoot a ton from beyond the arc (2nd in 3PA) while being incredibly efficient inside of it (1st in 2P%), move the ball (5th in APG), clean the glass (1st in Total RPG), and defend effectively without fouling (1st in both opponents' FG% allowed and FTA allowed). Of course it all starts with Giannis' alien gifts, but the new front office has done a tremendous job of working around some of the sins of the previous regime to surround the generational talent of the Greek Freak with oddly complementary pieces. Brook Lopez, stretch-5, is the unexpected avatar and logical conclusion of the pace-and-space revolution. A full 70% of Lopez's FG attempts come from outside the arc, and he is paradoxically averaging both a career high in Block% and a career low in Rebounding%. He essentially functions as a 7'1" shooting guard on offense, but his size unlocks the full breadth of Giannis' defensive versatility and all the kooky lineup combinations head coach Mike Budenholzer can dream up. 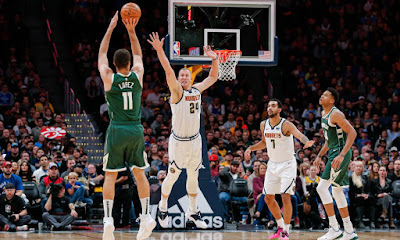 Malcolm Brogdon has transformed himself from Rookie-of-the-Year-by-Default into one of the league's most efficient marksmen, with a scarcely believable 50/45/98 shooting split as a fourth option (alongside Giannis' slightly higher-usage wingmen Khris Middleton and Eric Bledsoe). Brogdon is the perfect lineup spackle, switching seamlessly over three positions on both ends, protecting the ball, spacing the floor, and consistently making correct decisions. The bench is an island of misfit toys, but it works because their strengths (primarily some combination of outside shooting and defensive versatility) work well when paired with one or more of the primary creators from the first unit. Tony Snell, Ersan Ilyasova, and Pat Connaughton are limited players who don't move the needle outside of this particular ecosystem, but their catch-and-shoot gravity as floor spacers opens up driving lanes for Giannis, and the whole thing becomes one vicious cycle. They've held on to enough draft picks to take swings on young guys Thon Maker, Donte DiVincenzo, D.J. Wilson, and Sterling Brown, all of whom have shown some promise in limited minutes. Recent addition George Hill remains a steady caretaker, even as he is clearly well into the back nine of his career and grossly overpaid. Giannis remains the straw that stirs the drink in terms of the innovative, five-out offensive scheme and versatile defensive lineup combinations, but what we're seeing in Milwaukee is tip-of-the-spear, avant garde basketball, and it's working. Coach Bud and the gaggle of strange role players they've assembled deserve some shine beyond just basking in Giannis' enormous glow. Steven Adams, Hidden Superstar: For all the get-off-my-lawners out there who insist the game has gone soft and all the physical, interior big men have been hunted into extinction, I give you my beloved Dothraki son, Steven Adams. The 25-year-old Kiwi bruiser was rightly seen as a project when he was drafted out of the University of Pittsburgh in 2013, and despite the league's stylistic changes over that time, Adams has continued to hone his craft, increasing his scoring and rebounding averages every season in the league while virtually never shooting the ball from outside of ten feet. 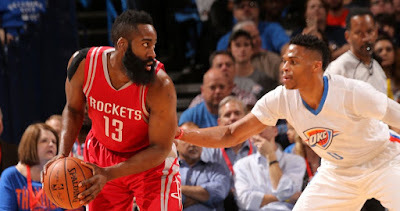 Now averaging 16-and-10 on 59% shooting for a 21-11 OKC team sitting pretty at 3rd in the West after an 0-4 start which feels like it was years ago, Adams has evolved into the perfect third option behind dark horse MVP candidate Paul George and noted triple-double hunter Russell Westbrook. He's the last line of defense for the league's 2nd-ranked outfit, a tenacious rebounder on both ends of the floor, and a brutal screen-setter and lob-crammer who also possesses surprising touch, footwork, and playmaking instincts on the offensive end. He's clever and quick-witted with the media, and would absolutely be a high pick on the All-Dark Alley Team, AKA The Charles Oakley All-Stars. I just love everything about the guy, and you should too. Are the Celtics in Trouble Without...*adjusts glasses*...*squints*...Aron Baynes?? : It's a 2-for-1 today on takes about hulking, hirsute, Australasian centers who impact winning beyond their statistical production. 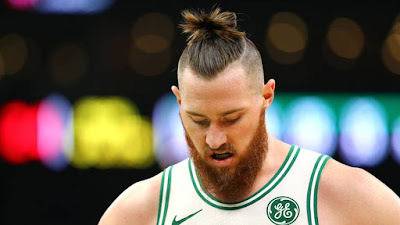 Thirty-two-year-old Australian and man-bun enthusiast Aron Baynes is expected to miss 4-6 weeks after surgery to repair a broken bone in his left hand he suffered Wednesday in Boston's puzzling loss to Phoenix. The loss of a backup center averaging 14.2 minutes and 5.5 points a night wouldn't normally register as a crisis -- particularly for a squad as deep as the Celtics -- but both visually and statistically, Baynes seems to act as a sort of bellwether for this Boston team. When he plays 15+ minutes, the Celtics are 9-3. In all other games, including seven in which Baynes didn't play, they are 10-10. The team is +11.3 points per 100 possessions when Baynes is on the floor, up from +4.6 without him. From an "eye test" standpoint, they just look more complete when he's out there. Besides Horford (who Baynes primarily backs up anyway), they have few other guys on their ultra-talented roster who take pride in the grunt work -- screening, blocking out, defending the post, and taking the occasional hard-but-necessary foul. 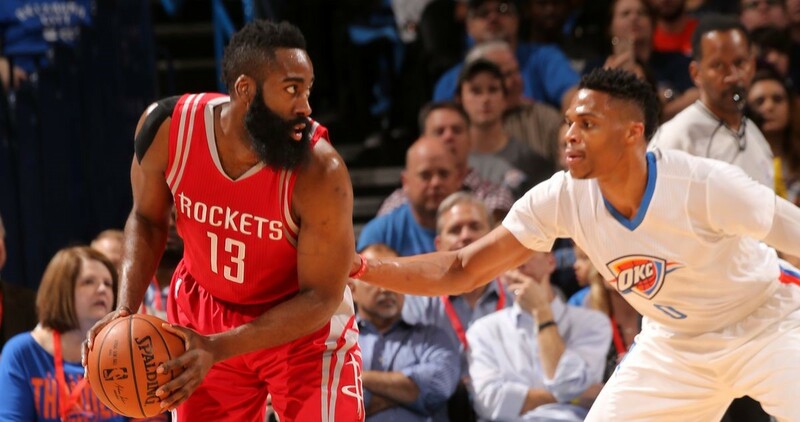 His absence may be felt heavily in the upcoming stretch of games, particularly given their opponent on Christmas. Horford and Baynes have combined to frustrate Sixers' MVP candidate Joel Embiid in their meetings over the last two seasons, and with Baynes out and Horford just returning from a leg injury which cost him seven games, Embiid could have a field day against Boston's undersized and undermanned frontcourt. Boston head coach Brad Stevens may have to go deeper into his bench, giving additional minutes to both Daniel Theis and Robert "Timelord" Williams. Theis is another competent pro who always gives high-effort minutes, but he lacks the size to keep Embiid from getting to the rim, and Williams, for all of the explosiveness he has shown in limited minutes thus far, remains a raw rookie with A LOT to learn about the NBA game. Stevens could try shifting Marcus Morris up to the 5 for stretches or giving some run to Guerschon Yabusele, though these units would likely hemorrhage points on defense, offsetting any gains realized on the offensive end. Either way, Embiid must be salivating at the opportunity to catch the Celtics' frontcourt at less than full strength, so watch for him to come out aggressively in the early going tomorrow and try to get Horford in foul trouble. Should Defenses Ignore Draymond Green? : Draymond's ability to put the ball in the basket appears to have completely abandoned him this season. In 31.0 minutes a night, he is attempting only 6.9 shots, scoring 7.3 points (easily his lowest since he became a full-time starter in 2014-15), and shooting a ghastly 23.9% from downtown. 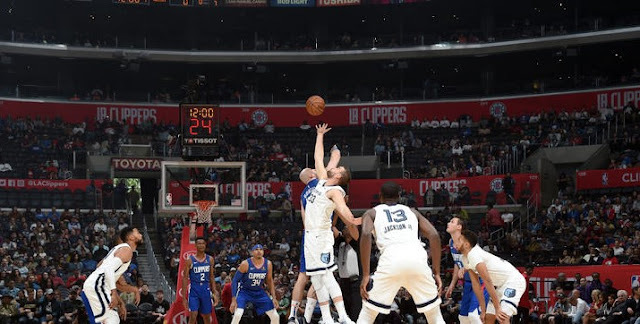 It hasn't particularly slowed the champs down, as they've climbed back into their perch atop the West on the backs of three pretty good scorers you may have heard about. For his part, Green has expressed his usual self-confidence despite the prolonged slump, and his floor game remains as robust as ever (8.0 RPG, 6.7 APG, 1.8 SPG, 0.9 BPG), but for teams still searching for any weakness to exploit against the Dubs, giving Dray the Ben Wallace treatment unless and until he proves he deserves to be guarded again may be a sound strategy. Opposing defenses have typically been happy to concede open looks to Draymond as a release valve in lieu of the far worse alternatives Golden State's machine presents, but it could be time to take things to the logical extreme. It would only add to the intrigue if the one to deploy the semi-disrespectful game plan were Lakers' head coach (and erstwhile Warriors' assistant coach/interim head coach) Luke Walton. Whether Dray goes 1-for-12 from deep in a loss, or he cans six triples and the Dubs run LA out of the gym, if nothing else, the post-game interviews would be appointment viewing. Can Utah Make the West Even More Crowded? : If you've made it through all the games up until this point, you will likely be delirious, so don't think too deeply about the nightcap between an offensive-minded team who is probably not as good as its record (Portland) and a defensive-minded team who is probably better than its record (Utah). Enjoy the first quarter or so, fall into a deep, pleasant, eggnog-induced slumber, then wake up in the morning and check to see if a Utah win turned the West standings into even more of a clusterf*ck than they already were going into the day. You will have earned your shut-eye, intrepid NBA viewer. Merry Christmas, Happy Holidays, and thanks for reading!